K 360 HS – Kirner Schleifmaschinen GmbH & Co. KG. of different geometry, tooth formation philosophy and materials with high precision and fully automatically. Ø 0.1 to 25.4 mm can be handled using our precision clamping systems and be loaded automatically. The KIRNER-developed 6-axis-kinematics is a special trademark. 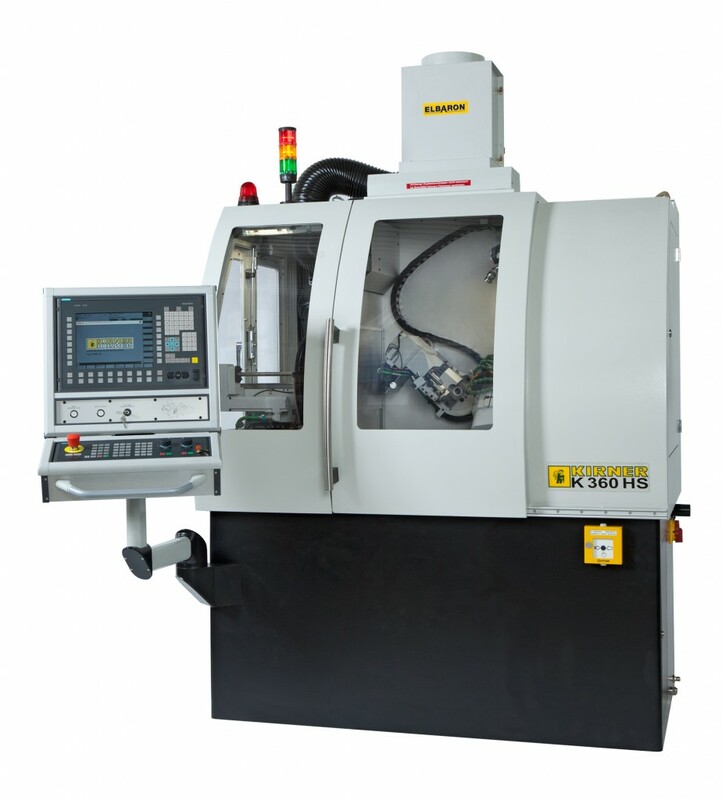 This offers decisive advantages over the customary 5-axis-arrangement. 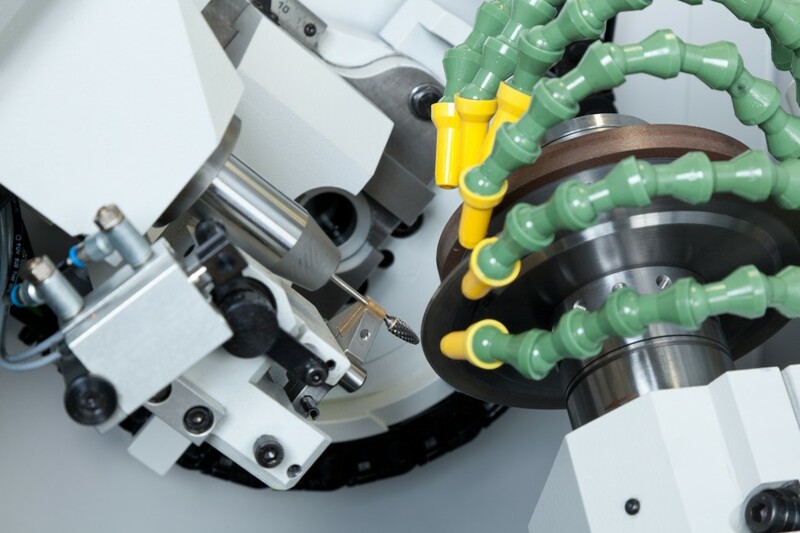 This way, form cutting tools can be optimally manufactured with a high efficiency. are unique in the world and form the prerequisite for the market success of our customers worldwide. The K 360 HS is controlled using the SIEMENS 840D (SL). The main rotation axes are moved energy-efficiently and highly dynamically using high-torque direct drives. The grinding software developed by us is very well-equipped and allows you to develop perfectly the complete range of various burr shapes as well as associated tools. The palletizing loading robot ensures the shortest workpiece change time and operates extremely reliably. The obtainable grinding cycle times are among the best in the world. Electrostatic extractor system RON/A 60 SV mounted on the machine hood, thus saving space, gives the best indoor air quality. CO2-fire extinguishing system with infrared temperature sensor by Kraft & Bauer for increased safety. Coolant cleaning system options such as a centrifuge, a mechanical filter or as a disk filter system for clean grinding oil. 4 different precision workpiece holder and gripper systems for the best possible adaptation to different grinding tasks. 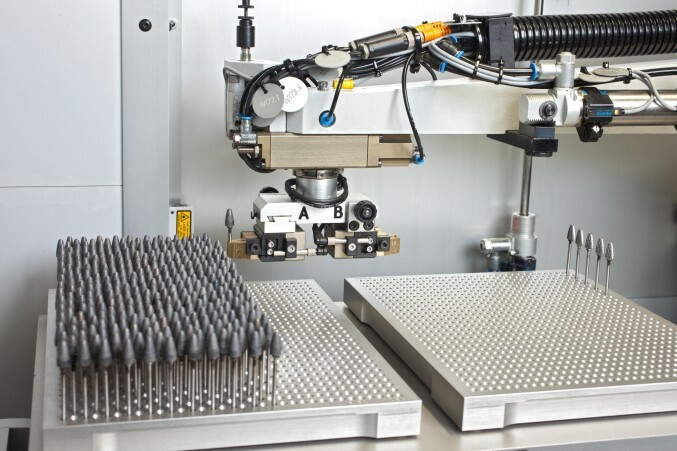 Loader capacity of up to 1020 workpieces enables long unmanned production cycles. Multiple wheel flanges can hold up to 4 grinding disks. Choose a suitable simulation tool. The modules 2D-workpiece, 3D-workpiece, 3D-machine and 3D-workpiece and machine are available. Remote diagnosis for the Siemens control system 840D (SL) allows quick troubleshooting.